Man United eye Benfica goalkeeper Mile Svilar? 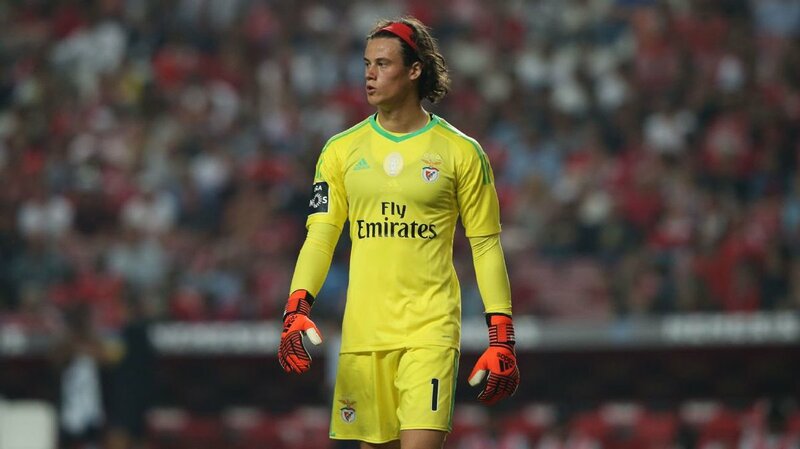 Manchester United manager Jose Mourinho has reportedly ramped up his interest in bringing Benfica goalkeeper Mile Svilar to Old Trafford. The Portuguese newspaper Correrio da Manha suggests that Mourinho has had talks with Benfica president Luis Filipe Vieira about a possible deal for the 18-year-old Belgian. The teenage shot-stopper has made five appearances for the Portuguese outfit in all competitions so far this season, keeping two clean sheets. Svilar’s contract is valid until June 2022, having joined from Anderlecht in August.